"Every Christmas you always hear people saying what they want and bought. Well this is what I want, I want people who are sick with no cure to be able to be cured. I want children with no families, to be adopted, I want people to never have to worry about food, shelter & heat. Now, lets see how many people re- post this... who actually care. I have a feeling I am gonna see almost no re-posts.. prove me wrong." Just returned from two nights at the Seneca Niagara Casino & Hotel. There was an ad in our local newspaper for rooms at $75/night, Sunday through Thursday. Sounded like a good idea for a mom and daughter getaway. I called to make the reservation. I was told, in addition to the $75, there is a $15 per night 'occupancy fee.' I asked about sales tax and was told there wasn't any, perhaps because this is an Indian owned casino? Check in is at 4 p.m. and we arrived around 3 to find out room ready. I was surprised to find our room faced the Falls and the Canadian side. I had figured for the special rate we'd be facing in the opposite direction. Nice! Room, with two double beds, was large and comfortable. Very nicely appointed bathroom with plenty of towels and personal amenities, including a full sized hair dryer and a coffee maker. There are several restaurants in the hotel: a snack bar, coffee/pastry/sandwich restaurant, coffee shop open 24 hrs and serving breakfast at any time, an Italian restaurant, a steak house and a buffet. We ate both nights at the buffet which was $18.99 pp, Sunday through Thursday, with a player's card. Wide range of foods from salads, to soups, to Italian, to Asian, to carved roast beef and turkey, freshly grilled steaks and loads of hot vegetables. For breakfast we ate at the coffee shop. All food was very good and all service was excellent. Staff in the casino, restaurants, spa, and front desk were all friendly and helpful. My daughter and I are even talking about repeating our little trip next winter. When I travel, I do a lot of Internet research. I research destinations. I research tour companies. And sure, I could book my travel online. Many people do and things work out just fine. But I don’t. Why bother? It doesn’t cost me anything extra to book that hotel or tour company or cruise through my travel agent. And I now have a travel professional to help me out if things don’t go quite as planned. The same thing applies if you are in business and need to arrange travel for your company. Why should you sweat the small stuff when you can have a corporate travel agency take care of it for you? Even better, that agency can get you where you need to go, make your local arrangements and maybe, with its connections and expertise, even end up saving your company money in the process. What could be better? Our last day in Venice. I had heard so much about the open air markets by the Rialto bridge but had yet found them. That was the goal for today. With the help of my great map I realized they were located just off the street coming from the bridge. Once I knew where they were located, they weren't hard to find. It was interesting walking around the food market. We some some fruits and vegetables that we weren't familiar with. I love persimmons and bought some to eat back at the room. We walked over to an area that was supposed to be the fish market. Actually, there was a big sign that said Fish Market in Italian. But this day (a Monday?) it was an antique market. There were some very interesting items there, including a tile decorated mirror that was shaped like a violin. I fell in love with it and considered making an offer. I had no doubt it would fit in my suitcase. That was until I inquired about the asking price: 2500 Euros!! Part of the area we walked by was flooded. I found this so interesting, how the city was, literally, at the water's edge. And seeing the bottom of so many doorways rotted away because of so much contact with the water. Even though it cost us a pretty penny, my husband Jim and I have successfully purchased two tickets to Seattle to visit our daughter and our lovely family on Christmas day. It's hard to believe that we haven't been able to see our daughter's new home since she moved out there three years ago. It's been on our agenda for the longest time, but we just haven't been able to successful coordinate a trip until now. I'm actually glad that Jim and I have finally reached retirement age. We've been able to do all these things that we've wanted to do for years. Christmas with our daughter is going to be great. We can't wait to see our grandsons Justin and Matthew. Our son in law is also a really great guy, and we are looking forward to having him show us around the city. Before we leave we have a few last chores. I need to get some better winter gear, and I need to stop by a Miracle Ear Testing Center. Other than that, we are both ready to go and enjoy a lovely holiday. We left the vaporetto at the S. Toma stop. I wanted to head into a part of Venice that we hadn't been to yet. We found a nice little cafe for lunch where I had risotto with mushrooms, definitely a dish I'm going to have to find a recipe for. My husband and I also shared a spritz. This is an orange colored cocktail I had seen MANY people drinking. Finally I just broke down and asked someone. The orange ones are made with Aperol. The red ones, stronger, are made with Campari. I have to admit I didn't care for it but I'm glad we tried it. We were right next to Santa maria Glorios dei Frari. Our daughter strongly suggested we pay a visit to this church. She said this church was so different from all the others she saw and took her breath away. Well, she was right. Unlike so many others we saw, this one was open and bright. It was a refreshing change. If you are heading to Venice, keep in mind that one of the best things about the city is getting lost in it. It was great wandering down narrow alleyways, only to discover they ended at water's edge or someone's front doorway. But if you want to get to a specific place in Venice, other than a major attraction like the Rialto Bridge or San Marco Plaza, you'll need a map. And you'll need a good map. I bought for our trip MapEasy's Guidemap to Venice and highly recommend it. The map is waterproof and tear resistant and after using it a lot over five days, my copy has lots of creases in it but no tears. The map is easy to use and to read. It has some neat facts and interesting comments on it that easily made it a supplementary guide book. There is no doubt that the next time I need a map for a major city, it will be made by MapEasy. We had already spent a lot of time walking around Venice and had spent a little bit of time on the Grand Canal when we arrived. Now it was time to maximize our water time and we boarded a vaporetto that took us to Lido. Lido is the resort island of Venice. It has some large hotels and excellent beaches. The island of Lido gave its name to future lidos...beach/resort areas. Before we even got to the Lido, though, we were treated to the site of gondolas racing (?) along the waterway. We felt the vaporetto slow down and we wondered why. We then realized it was trying to reduce its wake so as not to upset any of the rowers. By now the group was down to just four of us. We walked up and down the main street. It was strange actually having a street to walk along, with cars and buses, after having spent a few days in Venice which had neither. The we boarded vaporetto number 1 to head into the Grand Canal. It was neat seeing things from the water. We had been over many, many small bridges, taking pictures of one bridge from another. Now we had an opportunity to take photos of the bridges from the water. Although we had just gotten off a cruise ship, we wanted to maximize our time on the canals of Venice. To do this we decided to buy a 36-hour pass. By buying it at around 10 a.m., this gave us two full days of on-off travel. Our plan was a day for Murano and Burano and another day just cruising around the Grand Canal. Weather was cloudy, as usual, but that didn't stop us. The number 42 vaporetto to Murano left from a dock about a 5 minute walk from our hotel. The ride to Murano was less than 10 minutes. Known for its fabulous glass, Murano is one shop or glass blowing factory after another. What we found interesting was that some shops carried a specific artist. Others carried several. The glass ranged from little figures costing a few euros to museum quality pieces carrying huge price tags. The island is small and it was easy to wander around, popping into shops here and there. Our group had lunch on the island and then we caught the vaporetto for Burano, a 30 minute ride from Murano. Burano is know for its lace-makers. Actually, I should probably put that in the past tense....was known for its lace-makers. There are only a few women now who continue up the tradition. Most of the lace is made elsewhere. And the shops were full of it. Burano is an extremely picturesque island. All of the houses are painted different colors. The photographers in our group went nuts. We walked all over...down streets, into plazas, along canals. Stopped in pastry shops, of course. Too soon it was time to return to Venice. It was a great day. This picture is taken out of my kitchen window. The snow is piled up on the railing and tables and chairs on the deck. And it keeps growing and growing. After lunch at Gam Gam, most of us went our separate ways with plans to meet for dinner. We headed to San Marco Plaza...our chance to see it in the daytime. It was now easy to see all of the tables that were lined up, ready to be walkways when the area flooded. Every 3 to 4 tables one was removed, as a passageway, and stacked up on a nearby table. You can just see the legs of an upside table to the right in the photo. There was no line to get into the Basilica. The main area is free but there is a fee for each of the separate areas, like the Treasury. We just wandered around the main part of the church and left. We have seen much more beautiful ones inside than this one. Although the outside was pretty spectacular. We did pay 12 Euros each for admittance to the Doges Palace. That was worth it. The courtyard is absolutely magnificent. Many of the rooms are HUGE and the paintings on the walls and ceilings were really something to see. We had about an hour to tour the palace. Not enough. And we are not the 'read every label' tourists. The place is just so big! Be aware that there are staircases to climb and one seems to just go up and around and up and around and.......After the hour, I had enough and found it difficult to find the way out. We had to cut around ropes to get back to the staircases taking us back down to the courtyard. At this time of year there are not a lot of tourists. (Typically the rainy season, the plaza had been flooded the week before we arrived and it was raining the day we left.) Still it was amazing to meet up with two of the couples from our group, who just ended up being in the plaza same time we were. The lack of crowds made it easy to spot someone you knew. This is how Lonely Planet describes Mallorca. And with 25 inches of snow outside and a temperature of 25 degrees, those are words that often describe my own thoughts. I am constantly on the lookout for new destinations. There is no question that I am a beach person and both myself and my husband are nature people. So when I saw Majorca travel info pop up, I thought I'd take a deeper look. Mallorca is one of a group of islands off the coast of Spain. Being the largest of the Balearic Islands, most people visit for the beach. But there is a lot more to the island than just beaches. The northwest coast is mountainous, with forests, olive groves and a beautiful rugged coast. Sounds perfect! I can just picture myself in one of the villas in Mallorca, just feet away from the beach. I have often thought about doing something like renting an apartment....our vacations have been very active ones and it would be nice to simply have a week or 2 or 3 to just relax and enjoy the beach and the scenery. I'm sure, when we are ready, there will be lots of information on the Internet to help us choose a place. In no time at all I turned up helpful sites like Lonely Planet, Eyeflare and Frommer's. We visited the Jewish museum and some of us took the synagogue tour, including me. I found it quite interesting. The synagogues we visited were built on top of houses because there was no ground space within the limited ghetto walls. Of course the shoppers had to stop at David's. And we spent a lot of time there. We even came back there because their prices on Murano pendants were the best we saw. The staff was helpful and friendly and I would not hesitate to return there. Highly recommended. Our final stop was Gam Gam, the kosher (meat/pareve) restaurant within the Ghetto. There were 10 of us. All of us enjoyed our food. Particularly outstanding was the eggplant appetizer, the pasta bolognese and the Israeli appetizer plate, which at 9,80 Euros, could feed two. I know....we are just back from a trip. But that never stopped me from planning ahead for the next trip, and the next trip and the next one. One I am working on is a car trip to the southwest. 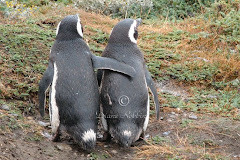 We have done a lot of international travel and the fact is we also have some wonderful things to see in our own country. We have traveled extensively along the east coast, and we did a fantastic car trip to the northwest. Now we've decided to do a similar trip to the southwest. When we took our northwest trip we had some camping supplies with us. Except for one city, we had no reservations for accommodations. Just in case we couldn't find anything, pre-trip we went out and looked at camping tents and bought one to throw in the trunk, along with some extra blankets. And we almost did have to use the tent...in Vernal, Utah. So for this upcoming trip, the tent will definitely go into the car again. And I was also thinking about camping stoves. We have one passed along to us by my Dad...maybe that should go into the car too? We had dinner our first night at Ai Barbacani on Calle del Paradiso. I had chosen it for several reasons. One reason put it at a good location for people coming from three different hotels: ours (Hotel Giorgione), a hotel near San Marco Plaza, and the Stuckey Hilton (which provided a free shuttle to San Marco Plaza). And the other reasons had to do with research I had done on the Internet, including sites such as TripAdvisor, Fodor's and Frommer's. I also wanted a restaurant that wasn't horribly expensive. There were 10 of us for dinner that night. We were all treated to a glass of their house wine. Out of the 10, two were unhappy with their meal. One person had ordered salmon (and friends who ordered salmon later in our stay at a different restaurant were not happy with it...could it be the salmon?) and another friend had ordered pasta with white clam sauce (it was too dry for them). The remainder of us enjoyed our meal and tried some new things like marinated sardines with onions as an appetizer. I don't remember the exact cost of the meal but it was within the 30-35 Euros (for both of us) that we paid for dinners during our stay in Venice. I would not hesitate to go back if we should ever be in Venice again. We spent a few hours walking around the Rialto Bridge area. Everywhere we turned there was another photo op... canals.... gondolas. We did what we were advised to do....walk and walk and walk. We popped into stores and churches. We shopped and we window shopped. We had crepes and gelato. And then we pooped out and headed back to our hotel for a brief respite before meeting up with friends for dinner. After dinner (see next post), we were recharged and wandered over to San Marco Plaza at night. There was nobody there. The shops were all closed. It was a great, quiet, and eerie experience with the fog coming in off the water. Only the top of the clock was lit. The other facades, like the Basilica, simply reflected light from the streetlamps. We looked forward to returning in the daylight. Our first destination as we wandered Venice that first afternoon was the Rialto Bridge. And in spite of all my reading, it was nothing like I expected. I had seen pictures showing the beauty of the bridge as it crossed the Grand Canal. We lucked out and our foggy cloudy morning had turned into a sunny day and we got some beautiful pictures with blue sky. We walked up the stairs that are on both sides of the bridge, enjoying our view of the canal and traffic below us. What I didn't expect was how the center of the bridge was one gift shop after another, some selling junk, some selling BEAUTIFUL quality items. Not only that, but there were kiosks along both streets that approached the bridge. What a shopping opportunity! So while the photographers headed off, shooting pictures of the bridge, from the bridge and from canal side, the shoppers headed off to...what else..shop! In the U.S. there are only two airlines that don't charge for the first checked bag: Jet Blue and Southwest. Southwest even allows you two free checked bags. On all other airlines, that first checked bag can cost anywhere from $15 to $35 and, if it is over 50 lbs., you'll get hit for another $50! So what to do if you want to stuff everything into one bag and it is overweight? Check the weight of your suitcase empty. You might be giving up lots of pounds with the suitcase itself. Instead, consider something like a rolling duffel. The Olympia Eight Pocket 26" Rolling Duffel Navy - Wheeled Duffel from eBags.com holds a lot and weighs only seven pounds. It is now on sale for $32. 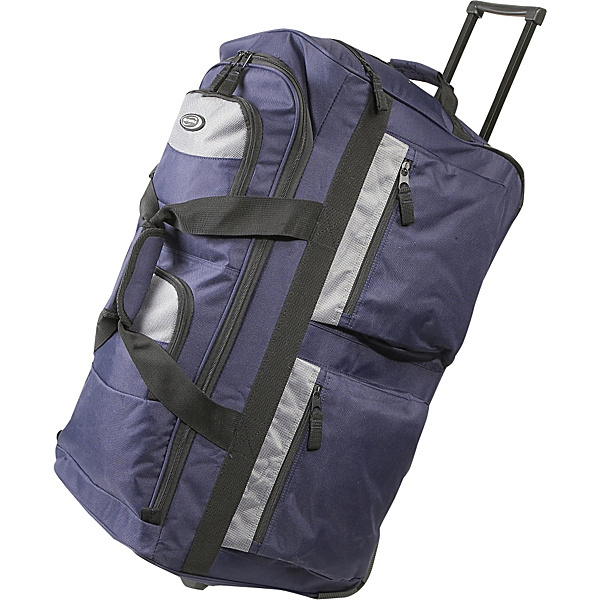 Buy the lightweight rolling duffel instead of paying a $50 weight overcharge and you are ahead $18! We stayed at Hotel Giorgione during our recent visit to Venice and would not hesitate to stay there again. The location was great...5-10 minutes to the Rialto bridge, 15-20 minutes to San Marco Plaza, 10-15 minutes to the Ghetto, 5 minutes to transportation to Murano and the airport. Hotel Giorgione is an old boutique hotel. It has a spacious comfortable lobby that we used often as we waited for friends or enjoyed the afternoon coffee, tea and biscuits. Chandeliers and sconces made of Murano glass were everywhere, including the rooms. This hotel is landlocked which meant that our water taxi needed to drop us about a 5-10 minute walk from the front door. There were no bridges between the drop-off point and the hotel so it was an easy walk with our rolling suitcases. We arrived from our cruise ship at approximately 10 a.m., expecting to simply check our luggage and get on our way. Surprisingly our rooms were ready. We were staying there with another couple from our home town and two sisters who were traveling together. We were all on the second floor and, between the two elevators, were quickly into our rooms. Our rate of 120 Euros per night included all taxes and a buffet breakfast. Hot items on the buffet included scrambled eggs and sometimes bacon, sausage or beans. Typical layout of cold meats, cheeses, pastry, cold cereal, breads, jams, etc. The rooms we saw were all different. Some were larger than others. Some had a shower. Some had a tub. Our room was actually up a small flight of stairs. So if you require something specific, like no stairs at all, be sure to mention that when reserving your room. There is no question that water taxis (as opposed to water buses) are the most convenient way to get to your hotel in Venice. They are also the most expensive. But the first piece of advice is for when you, literally, disembark the ship with your luggage. If you see an empty luggage cart, grab it. You might be at just the right pier for transportation or, like us, it could be a VERY long walk. Options for getting to a hotel include the People Mover to P. Roma and then a vaporetto (water bus). It is also possible to pick up a land taxi outside the pier to take to P. Roma and a vaporetto. But the vaporettos can be crowded and we would all have to be able to handle our luggage on and off. So, because there were 6 of us going to the same hotel, we decided the best option would be splitting the cost of a water taxi. I went to the ticket booth, told them where we were going (Hotel Giorgione) and the number of passengers. I was asked about our luggage and then told the fare would be 20 Euros per person. I had done my research and knew this was a fair price. I bought the ticket, the ticket seller radioed a water taxi and I was told where we needed to wait and the number of our taxi. We waited about 15 minutes, our taxi arrived, the driver loaded the luggage, and we were off to our hotel. Hotel Giorgione is actually a land locked hotel and we were dropped off a five minute walk from the front door of the hotel. This is going to be SO hard. Writing just a few short posts about Venice. We, like loads of people before us, fell in love with the city. Although we arrived on a cold, chilly, foggy morning, I was not prepared for the magic as our water taxi exited the area by the cruise pier and entered the Grand Canal. Everywhere we looked there were spectacular looking buildings, gondolas and water taxis. As we made our way to our hotel, we passed by small canals with bridges over them and, of course, the buildings right up to water's edge. We turned down one of those small canals to get to our hotel and I had to duck my head as we passed under one of those small bridges. We checked in, along with friends from our cruise group that were staying at the same hotel. We had booked five nights because this time of year rain and flooding was common and I anticipated we might lose time in the city due to the weather. Well, we lucked out. There had been flooding the week before, it was raining the day we left, and in between we had some cool and cloudy weather but it never stopped us. Note: This is my first post on Venice and, at this point, have no idea how many more I will write. To read them all, simple click on Venice in the Label field below.